Gary Webb photo was [found here]. Recently declassified CIA documents result in a book and a movie. What is revealed is that the CIA are drug traffickers and have arms dealers, international bankers, and corporate organized crime and/or money launderers. CIA drug money funds conflicts. Bribes to elected officials from arms dealers means more wars and more profit. Mainstream media is run by the CIA and arms dealer. This movie is based on a true story and truly is a bombshell. Ronald Reagan, Oliver North, the Clintons, and others fueled the crack cocaine epidemic. 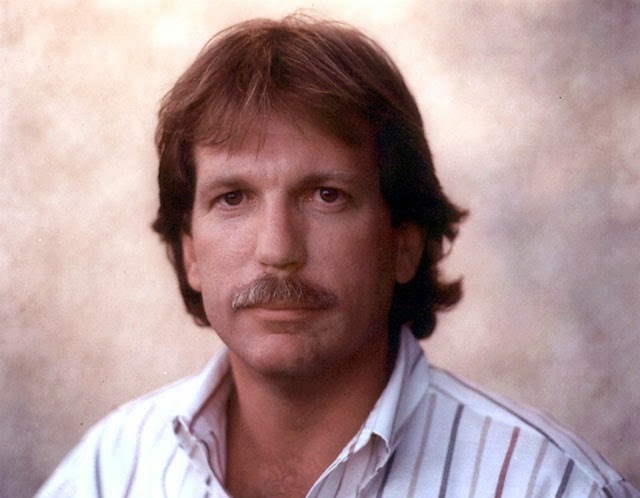 Spoiler alert: The real Gary Webb, the journalist, was found with two bullets in his head and it was ruled a suicide. The CIA operates in the US. The CIA kills and terrorizes journalists and citizens with big mouths. The CIA tells elected officials what to do and what to vote to spend money on, or else. The US is run by the the CIA, drug traffickers, international corporate organized crime, and arms dealers ... what is there not to like? Wave the flag. Was Rolling Stone Reporter Michael Hastings killed and discredited by the CIA?